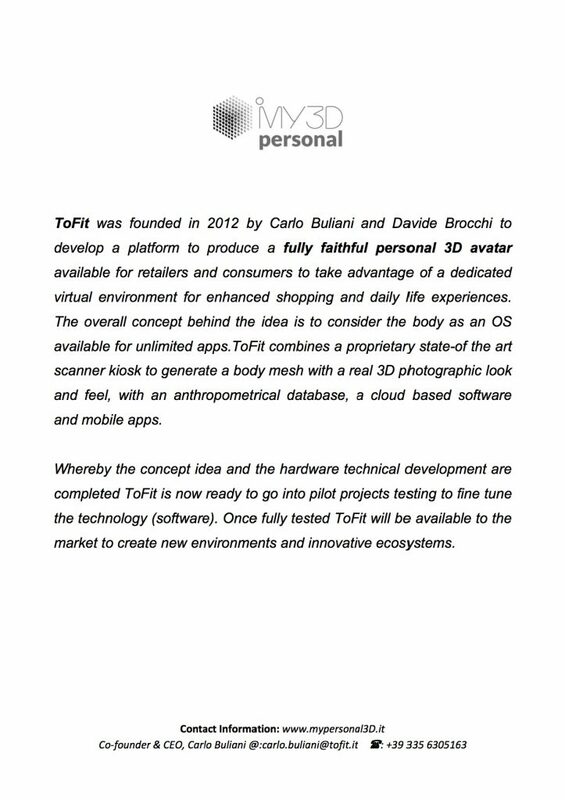 Milan, March 6: Taking their next step towards the Apparel market, ELSE Corp has officially entered a strategic partnership with ToFit, a body scanning and avatar management platform developer founded in 2012 in Florence, Italy. 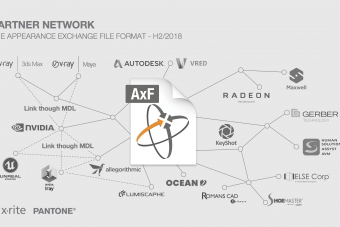 Just last February, the virtual retail company, ELSE Corp released an alpha version of their first vertical industry solution for footwear– else.shoes, and they are now ready to fully embrace their next challenge – the Fashion & Apparel market. The startup has been working in that direction for some time with “pioneering clients” and new industrial partnerships and this new deal with ToFit is just the boost that they needed. 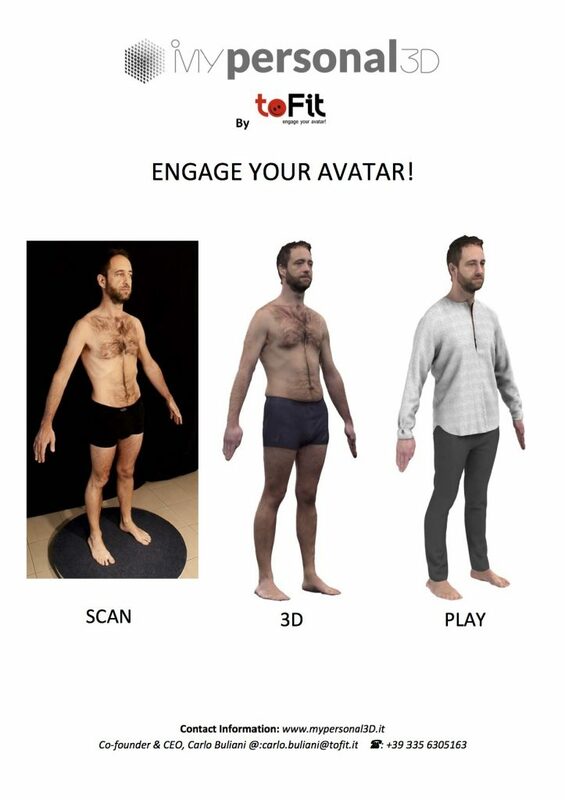 MyPersonal3D by ToFit is a 3D avatar platform. 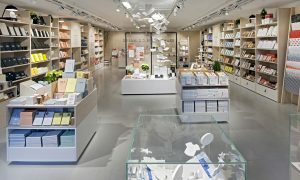 The platform itself offers retailers and consumers the opportunity to personalize their purchase experience. This unique virtualization solution treats the structure of the human body as an OS that can be personalized to meet the needs of custom apps. 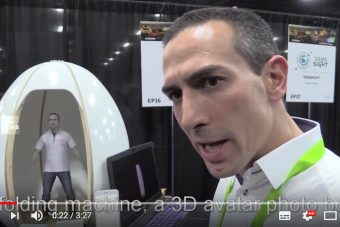 ToFit is an integrated solution provided through a state of the art scanner to generate a fully faithful personal 3D avatar with cloud based software. 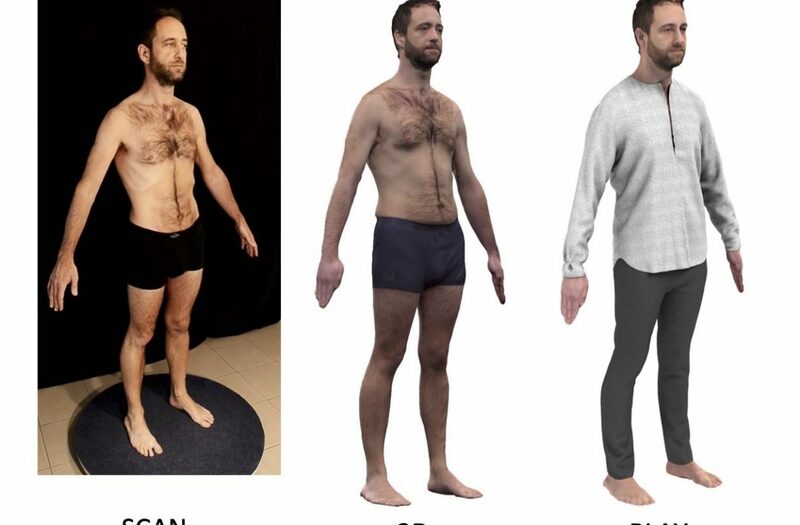 Starting from a 3d scan of a customer, a body mesh with a real 3d photographic look is created with all anthropometric data about that customer saved. ToFit handles the collection, storage and management of the gathered 3D data about each individual customer and through their cloud based software and mobile apps, the data can be used in countless contexts. To better convince a customer to purchase a customized garment that they have virtually configured through ELSE Corp’s 3D Virtual Boutique, it is vital for a brand to provide the customer with the tools to visualize their product in the most realistic way possible. ToFit delivers an easily to integrate solution, where soon customers can visualize the clothes that they customize in a Virtual Boutique now on their generated 3D avatars that represent their measurements and visual details. This is the closest that a customer can get to viewing their customized product on themselves before it is ordered. With the elements that this partnership brings, apparel brands that use ELSE Corp’s platform and services are ensured that their customers will receive an exciting and enhanced shopping experience which would most likely lead to higher customer confidence levels which could mean, more sales. ELSE Corp is an Italian startup based in Milan, founded in 2014. Since then, the company has been working on designing and developing a technologically advanced Cloud SaaS API platform for Virtual Retail or no stock retail for the Apparel & Footwear industry. 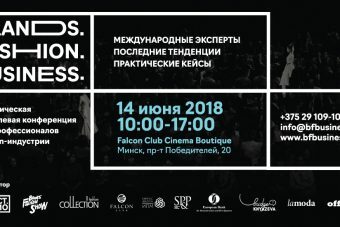 The platform E.L.S.E., Exclusive Luxury Shopping Experience is aimed at providing an extraordinary Customer & Shopping Experience in, that supports at its core Mass Customization and cloud based hybrid & distributed Manufacturing services.